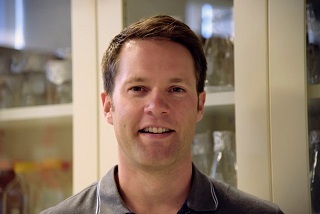 Adam Feist is a Research Scientist at the University of California, San Diego and a Senior Scientist and Group Leader at the Center for Biosustainability at the Technical University of Denmark. Dr. Feist serves as a PI and Co-Investigator on various grants, research advisor for PhD and MS students, and guest lecturer. Dr. Feist’s current research is focused on developing two technologies – an adaptive laboratory evolution platform and next-generation genome-scale models. Dr. Feist has demonstrated the application of these technologies towards the fields of metabolic engineering and biomedical applications. Dr. Feist also has experience in industry at a start-up company focused on commercializing constraint-based modeling in the field of human health.